Charlanna Beresford wrote an interesting post yesterday, Arc of an Avatar. It considers some of the reasons her interest and participation in Second Life wained over time and wonders if others have had similar experiences. Talking more about first life reinforced those interactions and I realized that I was interacting through place and avatar less and less . . . The more I experienced it as a 3D chatroom, the less important Second Life felt to me as a place. I've thought a lot about how immersion in the physical space of the virtual world gives birth to virtual identity. But I've never considered how the "purity" of virtual identity influences one's immersion in the virtual world. 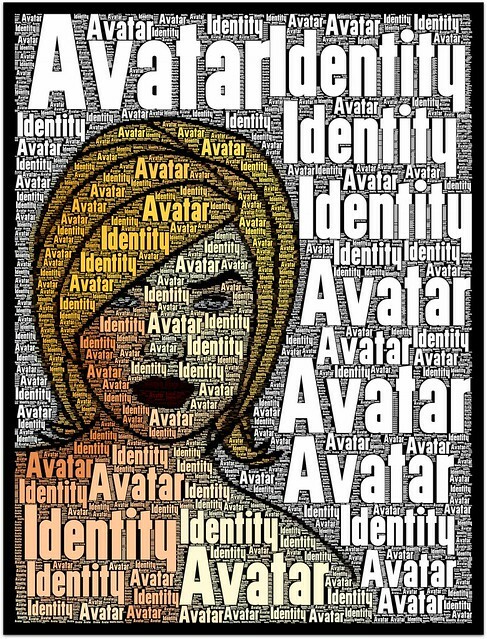 Is the virtual world we experience less real to us when our of avatar identity becomes muddied through personal disclosure? I wrote about my own Fall From Grace in November, which considered the impact of personal disclosure on identity, but not its effect on the experience of physical immersion. I'm looking forward to spending some time over the long weekend mulling this new dimension. That's really interesting . . . the idea that if you know the RL identity of just one person in your environment, it can negatively impact your immersion experience. I wonder if there's a business opportunity for a grid that does not allow any public disclosure of RL identity? I wonder if someone's reaction is dependent on their purpose in spending time in SL. In all my interactions in world, I have always been very open about who I am in RL. This was probably because my purpose in using SL was as an extension of what I was doing in RL. And, for me, I greatly enjoy meeting virtual friends in RL. After I meet the human behind an avatar friend, I end up thinking of them both ways - as an avatar and as a human. The one that predominates is probably dependent on the medium in which we are communicating. In a way, for me this is no different than interacting at work with someone in that environment then spending time with them later in their role as mom/dad or something totally different than what they are at work. The manner in which I view them at any moment is dependent on the environment in which we are. "Self" is a concept that could be broadly defined, and often has been. I've been fairly comfortable with who I "am" since my early 20s. So when I immersed myself into the internet back in 1997, it was as my "self". Anything I did virtually was as my "self". Physical appearances change. So do virtual appearances. While I still maintain avatars in a number of virtual worlds, I've only made slight modifications to my "self". And that is in regard to how I've conducted business online. The timeless phrase "A rose by any other name" is easily applied. My names changed. But I hope that the "self" behind those names remained the same. I slip comfortably, if not easily, between physical and virtual today. Mainly because I don't confine my "self" to different personas. I have been, and always shall be the "self" I present to the public. If a discrepancy is noticed, I try to take steps to correct it. I find this discussion very thought provoking. We ARE redefining our sense of self; for those of us that weave existences back and forth, and are interconnected between RL and SL(VL). I find that as I know more about the RL identities of friends, I am more involved. It becomes a wonderful level of appreciating another's creativity; expression of self and literacy, AND that they did it between loads of laundry. When you enter an environment that is totally a creation from a person's imagination, how can you separate that "person" from that space? @Leondra. You don't separate that person from that space. Many worlds are often more defining of a person than the avatar you interact with. Like much art in physical reality, the work often speaks volumes about the artist. prenoir: One of the things I value the most about virtual life is the light it sheds on aspects of RL that are usually invisible. As you commented, the way we experience people in the atomic world is very context-dependent. For instance, you may know someone only through through a professional job where he is a bit reserved and proper. He may very well express different aspects or dimensions of personality in other environments such as out at a club or with his young children. Joey: Great points! There are many aspects of ourselves that change over time. Imagine a person from birth to ninety, and the change is as drastic as just about any avatar/human transformation. I also like your point about the "rose". In most cases, what matters is how we treat each other and what we bring to the world, virtual or otherwise, NOT the factoids of age/gender/race/income/etc. Leondra: I don't mind that some people want to keep RL and SL totally separate. For them, it would be like sitting in a theater with someone constantly reminding them that the actors aren't "real" and pointing out flaws in the set, dialogue, etc. I agree that creative work is one way we can get a glimpse into other people's minds, but I don't know if we can draw any conclusions. For instance, some people create very disturbing and dark work who are generally happy people. I love your "between loads of laundry" line! Joey: As an artist, I personally don't think my work always says much about me outside of giving an insight into my creative vision. For instance, you can create beautiful work and be a narcissistic jerk. I'm on the opposite end of the spectrum here.